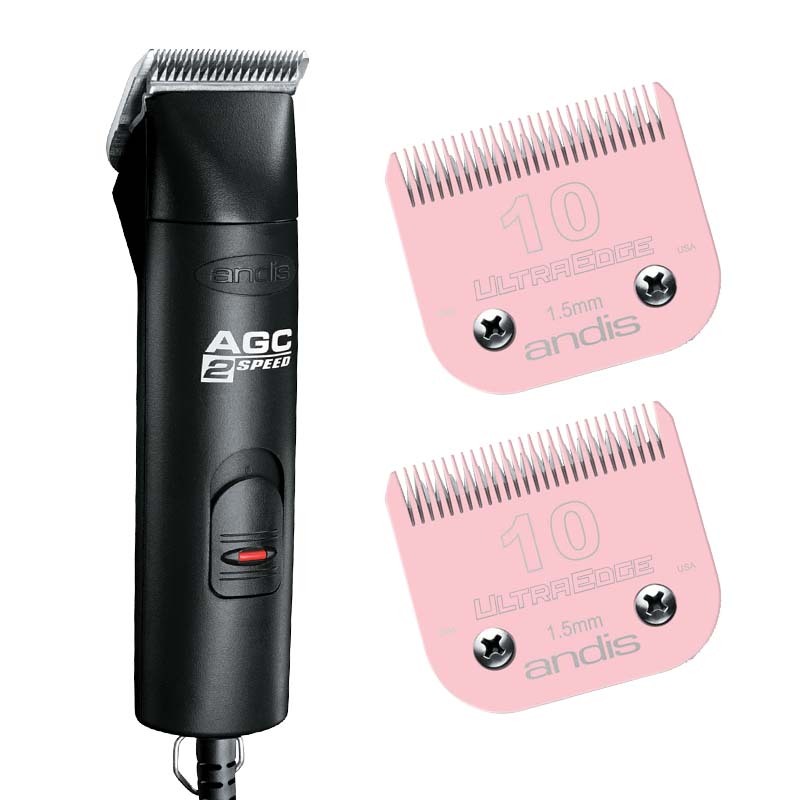 The Andis two-speed AGC uses a two-speed motor for extra power and fast, smooth clipping. Normal speed setting for general grooming and precise clipping around ears and face. High speed is 25% faster for cutting heavy coats. Extremely quiet operation. The classic AGC2 features a steady 2-speed rotary motor which runs at 3,400 SPM on the high setting and 2,700 SPM on the low setting. Cool-running, smart design eliminates fans and vents that can become clogged with hair. A locking switch ensures that the clipper will not accidentally shut off. Clipper features detachable blades for easy cleaning and ultimate choice for cut length. Full 14' heavy-duty cord.